Marriages for John Langdon Jr.
Sources for John Langdon Jr.
1 Roberts, Gary Boyd, Notable Kin, Volume 1 , Santa Clarita, California: Carl Boyer, 3rd (1998), 148. 2 Roberts, Gary Boyd, Notable Kin, Volume 2 , Santa Clarita, California: Carl Boyer, 3rd (1999), 185-186. 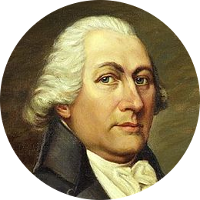 3 Wikipedia, "John Langdon (politician)", (accessed 12/29/2014).